Irony, unexpected scenarios and big plays, this SEC Championship Game truly was a game for the ages and one that will be unforgettable. Alabama and Georgia just completed a game for the ages. It will be talked about, debated and for Tide fans, remembered forever. Even if you are tired and suffering from SEC and Alabama fatigue, you have to admit that this game was one of the most exciting, entertaining and unbelievable games you saw this season. I’ve already seen Alabama fans pinching themselves to make sure that all that they saw really happened and that they weren’t dreaming. After all, what seemed like a nightmare ended in a fairy tale win. Sure handed Alabama receivers dropping great passes early on. 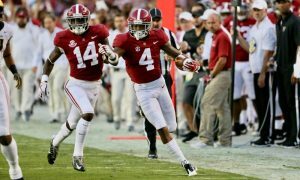 Alabama’s inflexible defense that shut out LSU, the team that beat the Bulldogs earlier, was being stretched by a Georgia offense that at times seemed unstoppable. Tua being picked off twice and picked up from the ground far too many times and Bama playing from behind for three quarters was something that no Alabama fan could ever think would ever happen. In great irony, Georgia with one of the best kickers in college football missed an easy one like Alabama did last season against them. Jalen Hurts came off the bench, relieved Tua and marched the Tide to victory. Just the opposite in both cases of what happened in last year’s game against Georgia. 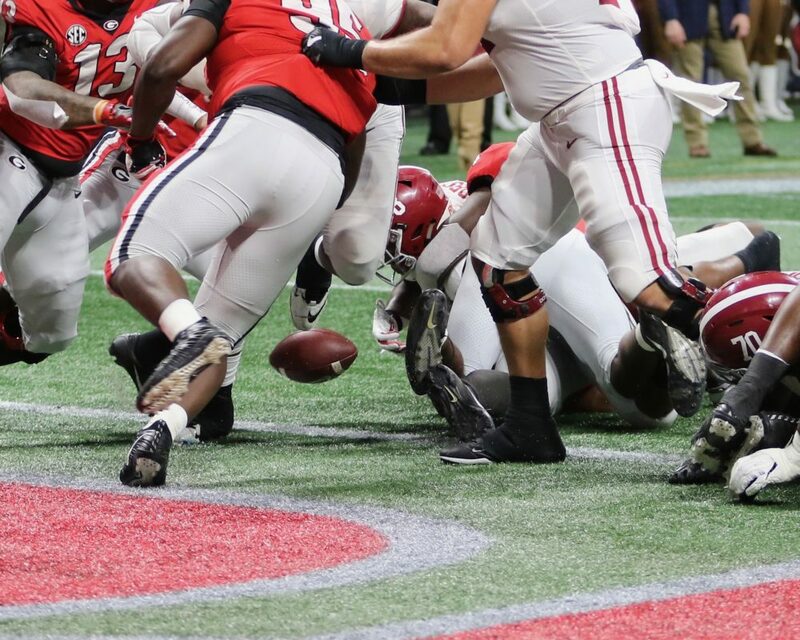 Lastly, Kirby Smart didn’t live up to his last name and faked a punt that went bad as the game clock was ticking down and it failed, giving Alabama great field position to quickly march down a short field and score the go ahead touchdown. Georgia fans will second guess that decision for eternity. 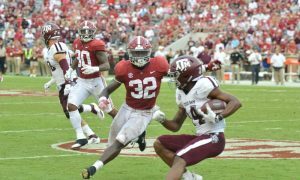 But had Georgia converted it, got into field goal range and kicked the game winner, he would be reveled as the coach who outsmarted Saban and beat him. 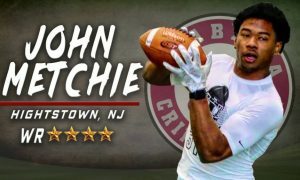 And Jalen Hurts has forever more, “Writ’ his name in Crimson flame” as the Alabama fight song goes, not just for winning the game, which was an amazing feat in itself, but by being the ultimate team guy and sticking around and being available to do so. For those that remember Jalen Hurts as the guy who couldn’t win the big games and wasn’t a passer you can count on, you can now remember him as Mr. Clutch, Mr. Cool or any other flatter accolade you wish to put upon him. He came in and went 7 of 9 for 82 yards passing with one big touchdown pass to go along with zero interceptions. He also came through with 28 clutch yards including a dazzling touchdown run of 15 yards. 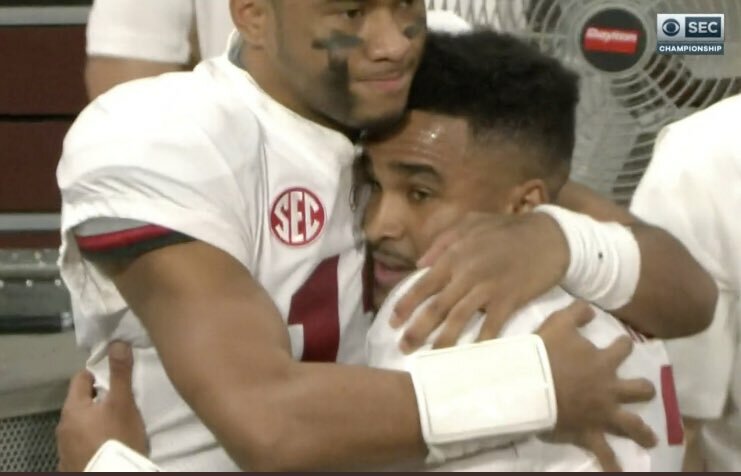 If you’re a true football fan and don’t feel pride for Jalen Hurts there’s something wrong with you or you really aren’t a true football fan after all. Hurts is the ultimate team guy. Most thought he’d leave after losing his starting job after posting perhaps the best record of any college quarterback in history to lose his job. In all this time since Tua’s anointment as being maybe the best quarterback in college football, he never sulked and only supported his successor and his team in every way a player could possibly do so. Can anyone not now love Jalen Hurts? I can’t see how you can’t unless you’re just a die hard Georgia fan. Georgia may have wished for Tua not to be able to proceed in the game and maybe they should be more careful next time what they wish for as it may come true. That too could be one of the big ironies of the game. Lastly, if you told people that one team would have more total yardage, over ten more minutes of time of possession and also win the turnover battle 2-0, you would have thought that team would be Bama and you’d be wrong. If you were told that this team that could do all that would still lose the game, it’s hard to fathom. Irony, unexpected scenarios and big plays, this truly was a game for the ages.